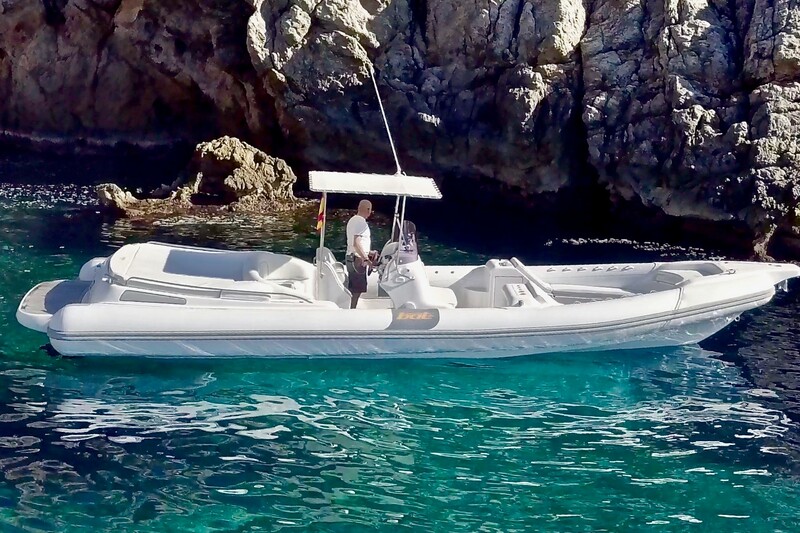 Enjoy an exclusive day at sea aboard the Bat 996 Open, with a capacity of up to 11 passengers, to discover the most magical and secluded coves of Mallorca, from the hands of the expert skipper Oscar Puente. Enjoy an exclusive sea departure aboard the Bat 996 Open, with a capacity of up to 11 passengers, enjoying different coves and crystal clear waters. From where as from the sea could you enjoy the show that offers a SUNSET!? Shared with friends, as a family … Feel the night breeze of the sea! - All the Charters will be operated every day from May to November. Making a tour of coves and beaches such as Bougainvillea beach, Illetas, Cala Xada, El Mago, Portals Vells, Clot d’es Moro. Passing through the natural reserve of Isla del Toro and Las Malgrats. 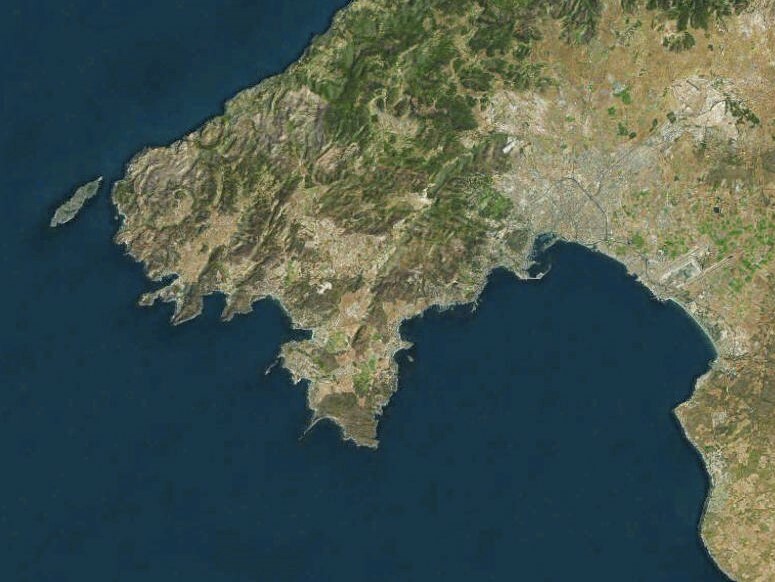 Santa Ponsa beach, L’olla, Cala d’en Monjo, Camp de Mar, Cala Blanca, Cala Llamp, Cala Marmassen, Cala d’Egos, Sant Elm, reaching the Dragonera Island. The time of stay and bath in coves and beaches will be flexible. Example: if the client is comfortable because he likes the water in which he is swimming, the views, he wants relax time …). The guest will be the owner of the boat for his day. They will have drinks (soft drinks, water, beers), snacks (chips, nuts and fruit). - The guests can bring it with them. - Also there is the possibility of choosing one of the restaurants offered by the itinerary (the client will transmit their tastes to the skipper and he will propose and reserve where the guest prefers), disembarking it in the restaurant. - On board: Table of Iberian sausages and cheese + wine: 45€ per person. Making a tour of coves and beaches such as Bougainvillea, Illetas, Cala Xada, El Mago, Portals Vells. The time of stay and bath in coves and beaches it will be flexible. Example: if the guest is comfortable because like the water in which it is swimming, the views, wants to sunbathe in the sun). The guest will be the owner of the boat. The guests will have drinks (soft drinks, water and beers) and nuts and fruit. The guests will be able to bring their snack with them. OPTIONAL – Healthy Picnic on board: 1 cold pressed juice 500ml + 1 salad or sandwich: 25€ per person. Enjoy the fall and the beautiful reflection of the sun in the sea. Includes 1 bottle of cava and nuts. (For 2-4 people). More than 4 passengers, the price of the boat will not vary in the journey, we will charge only for the extra cava. WHAT IS INCLUDED IN THE CHARTERS? - Snacks included: crisps, nuts, similars in all the charters. - Drinks included: water, soft drink and beer in all the charters. 4h Charter: 2 drinks per pax. 8h charter: 4 drinks per pax. (In case of wine 1 bottle for 4 people). - A sailor will assist both on boarding and disembarkation maneuvers along with the skipper, collecting shoes in a basket, accommodating and offering a welcome drink or laying off the client and doing with, exit feedback. - Our charters includes: Skipper, cleaning of the boat, diesel fuel, all risk insurance, first aid kit, life jackets, snorkel equipment. - In the 3 Charters also, outside our boat, the client can enjoy the facilities offered by our base port: changing rooms, toilets and showers. - The capacity of the boat is 12 people (11 passengers + skipper). In the case of wanting to hire sailor on board in the path (10 passengers + 2 crew). - Any special request for wine, aperitif or cava will always be possible with previous request and additional cost. Extra drinks will be possible with additional cost. 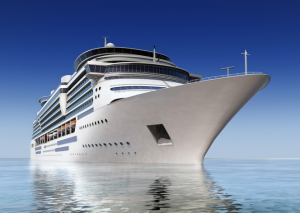 - If a sailor is required for the service on the way, it will be possible with an additional cost. - We comply with all security regulations, licences and hold up to date insurance. - Necessary document: DNI, NIF or Passport. 1) The first payment over 50% of the total amount will be done by reservation. 2) The down payment will be done 15 days before the sailing excursion starts. 3) In case of cancellation due to weather circumstances, decision taken by the skipper of the boat, the amounts paid will be returned in its entirety and no cancellation fees will be charged. a) In case of cancellation notified before 90 days previously to the excursion, there will be no cancellation fees, the amounts paid will be returned in its entirety. b) In case of cancellation notified within 90 days previously to the excursion, the cancellation costs will be 25% of the first payment corresponding only to the rental of the boat, or 12,5% of the total amount of the rental of the boat. c) In case of cancellation notified within 60 days previously to the excursion, the cancellation costs will be 50% of the first payment corresponding only to the rental of the boat, or 25% of the total amount of the rental of the boat. d) In case of cancellation notified within 30 days previously to the excursion, the cancellation costs will be 100% of the first payment corresponding only to the rental of the boat, or 50% of the total amount of the rental of the boat. e) In case of cancellation notified within 15 days previously to the excursion, the cancellation costs will be 100% of the total amount including all services.